One in three organizations hit by DDoS attacks experienced an attack against their DNS server. Why is DNS such an attractive target? What are the challenges associated with keeping it secure? What attack vectors represent the worse of the worst when it comes to DNS assaults? Based on research from Radware’s 2017-2018 Global Application & Network Security Report, this piece answers all those questions and many more. I was visiting a prospect last week and at the very beginning of the meeting he asked directly, “Why would I consider your products and services over the many others that claim to do the exact same thing?” I immediately said, “That’s easy! Certainty and specificity.” He looked at me, expecting more than a 5-word answer. When I did not provide one, he asked me to please explain. I told him that any number of the products or services on the market are capable of keeping your circuits from being overrun by a volumetric DDoS attack, but that if he wanted to be certain he was not blocking legitimate business users or customers, and if he wanted to be specific about the traffic he was scrubbing, he would need to consider my solution. Building Tier 1 IP Transit – What’s Involved and Why Do It? Not all internet connectivity is created equal. Many Tier 2 and Tier 3 ISPs, cloud service providers and data integrators consume IP Transit sourced from Tier 1 Wholesale ISPs (those ISP’s that build and operate their own fabric from L1 services up). In doing so, their ability to offer their customers internet services customised to particular requirements is limited by the choices they have available to them – and many aspects of the services they consume may not be optimal. Organizations are losing the cybersecurity race. Cyber threats are evolving faster than security teams can adapt. The proliferation of data from dozens of security products are outpacing the ability for security teams to process it. And budget and talent shortfalls limit the ability for security teams to expand rapidly. The question is how does a network security team improve the ability to scale and minimize data breaches, all the while dealing with increasingly complex attack vectors? DDoS attacks are growing in complexity and volume and represent a major threat to any organization. Service providers and enterprises require expertise and knowledge to successfully deal with these threats. 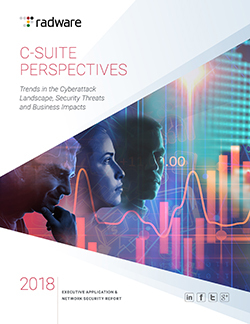 While large organizations have the budget to develop in-house expertise to address DDoS attacks, there are still administrative burdens associated with protecting computing and infrastructure resources. technology more perilous. As an executive, you’re facing pressure both internally (from customers and shareholders) and externally (from industry compliance or government regulations) to keep your organization’s digital assets and your customers’ secure. New cybersecurity threats require new solutions. New solutions require a project to implement them. The problems and solutions seem infinite while budgets remain bounded. Therefore, the challenge becomes how to identify the priority threats, select the solutions that deliver the best ROI and stretch dollars to maximize your organization’s protection. Consultants and industry analysts can help, but they too can be costly options that don’t always provide the correct advice. To understand how and why cybersecurity models will have to adapt to meet future threats, let’s outline three obstacles they’ll have to overcome in the near future: advanced DDoS mitigation, encrypted cyberattacks, and DevOps and agile software development. A DDoS attack is any cyberattack that compromises a company’s website or network and impairs the organization’s ability to conduct business. Take an e-commerce business for example. If somebody wanted to prevent the organization from conducting business, it’s not necessary to hack the website but simply to make it difficult for visitors to access it. Leveraging the bank analogy, this is why banks and financial institutions leverage multiple layers of security: it provides an integrated, redundant defense designed to meet a multitude of potential situations in the unlikely event a bank is robbed. This also includes the ability to quickly and effectively communicate with law enforcement. Hybrid DDoS protection aspire to offer best-of-breed attack mitigation by combining on-premise and cloud mitigation into a single, integrated solution. The hybrid solution chooses the right mitigation location and technique based on attack characteristics. In the hybrid solution, attack detection and mitigation starts immediately and automatically using the on-premise attack mitigation device. This stops various attacks from diminishing the availability of the online services. All attacks are mitigated on-premise, unless they threaten to block the Internet pipe of the organization. In case of pipe saturation, the hybrid solution activates cloud mitigation and the traffic is diverted to the cloud, where it is scrubbed before being sent back to the enterprise. An ideal hybrid solution also shares essential information about the attack between on-premise mitigation devices and cloud devices to accelerate and enhance the mitigation of the attack once it reaches the cloud. stealthy attack vectors for malware infection and data exfiltration. In essence, they’re a wolf in sheep’s clothing. To stop hackers from leveraging SSL/TLS-based cyberattacks, organizations require computing resources; resources to inspect communications to ensure they’re not infected with malicious malware. These increasing resource requirements make it challenging for anything but purpose built hardware to conduct inspection. Lastly, how do we ensure that, as applications become more complex, they don’t become increasingly vulnerable either from coding errors or from newly deployed functionality associated with DevOps or agile development practices? The problem is most cybersecurity solutions focus on stopping existing threats. To use our bank analogy again, existing security solutions mean that (ideally), a career criminal can’t enter a bank, someone carrying a concealed weapon is stopped or somebody acting suspiciously is blocked from making a transaction. However, nothing stops somebody with no criminal background or conducting no suspicious activity from entering the bank. The bank’s security systems must be updated to look for other “indicators” that this person could represent a threat. In the world of cybersecurity, the key is implementing a web application firewall that adapts to evolving threats and applications. A WAF accomplishes this by automatically detecting and protecting new web applications as they are added to the network via automatic policy generation. It should also differentiate between false positives and false negatives. Why? Because just like a bank, web applications are being accessed both by desired legitimate users and undesired attackers (malignant users whose goal is to harm the application and/or steal data). One of the biggest challenges in protecting web applications is the ability to accurately differentiate between the two and identify and block security threats while not disturbing legitimate traffic. Use common sense and logic. The marketplace is saturated with offerings. Understand how a cybersecurity solution will fit into your existing infrastructure and the business value it will bring by keeping your organization up and running and your customer’s data secure. As DDoS attacks grow more frequent, more powerful, and more sophisticated, many organizations turn to DDoS mitigation providers to protect themselves against attack. Before evaluating DDoS protection solutions, it is important to assess the needs, objectives, and constraints of the organization, network and applications. These factors will define the criteria for selecting the optimal solution. Distributed Denial of Service (DDoS) attacks have entered the 1 Tbps DDoS attack era. However, Radware research shows that DDoS attacks are not just getting bigger; they’re also getting more sophisticated. Hackers are constantly coming up with new and innovative ways of bypassing traditional DDoS defenses and compromise organizations’ service availability.